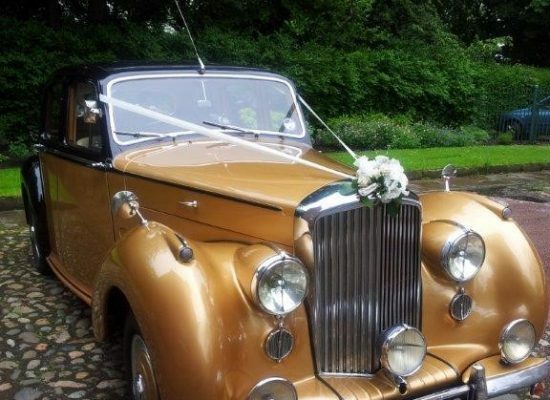 The vintage 1951Bentley Mk. 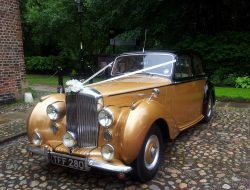 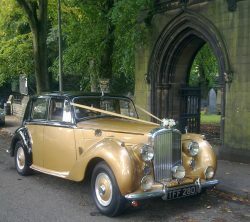 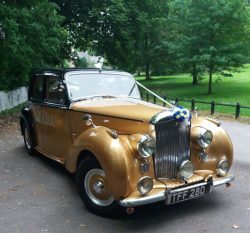 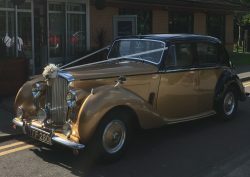 6 finished in gold and black is a true vintage vehicle and not a replica as so many wedding companies use today. 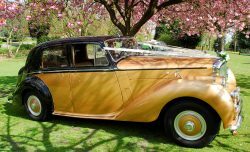 Its image and style will no doubt take you back to a bygone era, when craftsman tradition and prestige were the order of the day. 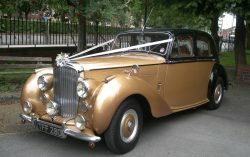 This vehicle portrays sheer style and elegance. 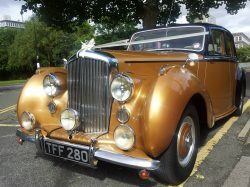 The interior of the Bentley is of the highest quality Going back to the days when craftsmen built everything by hand. 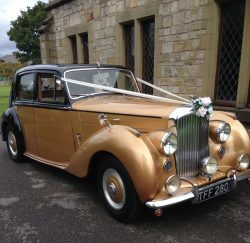 The instrument panel and doors are finished in highly polished walnut trim. 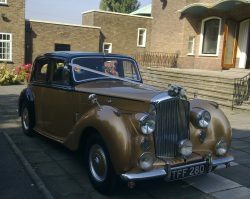 The seats are made of beautiful cream leather. 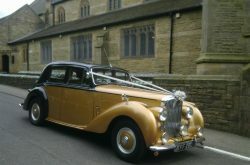 The floors are covered in lamb’s wool rugs. 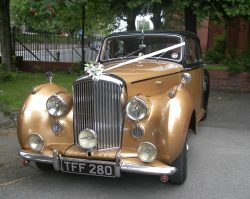 This vehicle comes with a choice of gold or white silk ribbons to compliment the colour of the car. 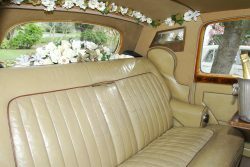 Handmade silk Flowers to the outside and inside of the car to compliment the colour scheme of your wedding made by carol herself. 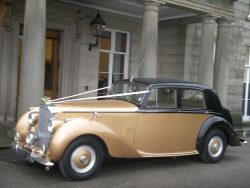 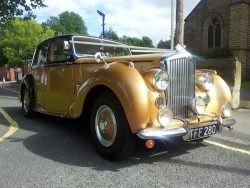 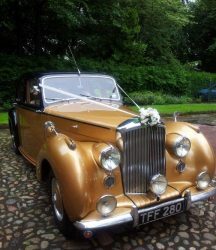 Carol's Wedding Cars can guarantee your special day will not be complete without this one of a kind Bentley. 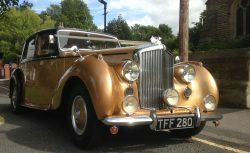 A small deposit can secure this stunning car. 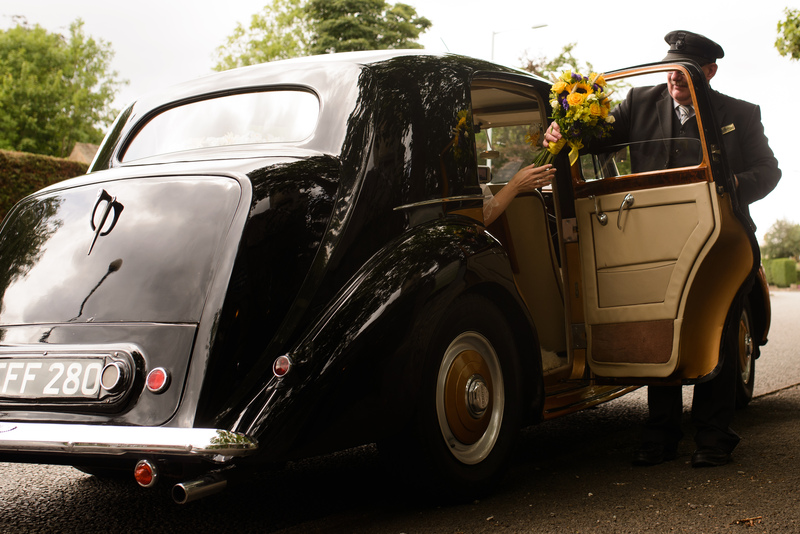 Get in touch with us today to find out more!